Some call me the King of Romance. I've helped plan many proposals in my time, so I'm a wealth of resources when it comes to some of the most romantic spots here in DFW. 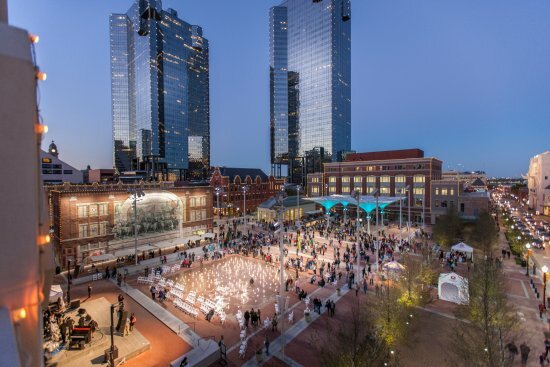 Whether it's a restaurant, a place to catch a sunset, or somewhere to just walk around holding hands - check out these love-inspiring DFW locations. Did you know that hundreds of couples get engaged at Reunion Tower every year? It shouldn't be all that surprising considering the breathtaking views of the Dallas skyline you can enjoy from the top of the tower. 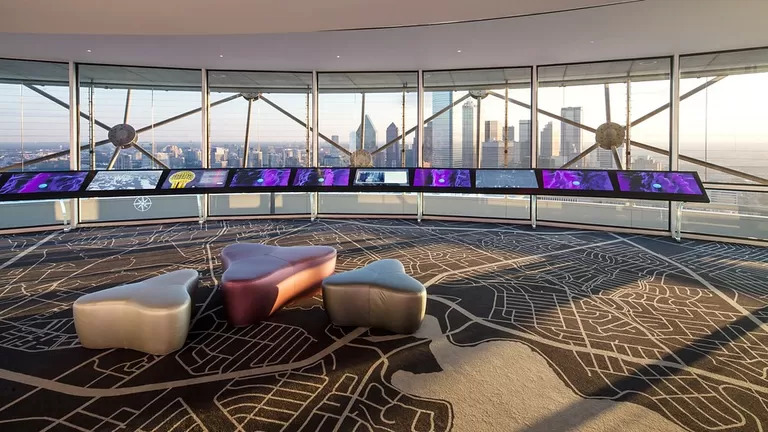 But another reason Reunion Tower is on our list is because of Five Sixty Restaurant, Wolfgang Puck's Asian-inspired restaurant located 50 stories up. Enjoy the views, enjoy a delicious meal, and enjoy spending some quality time together! 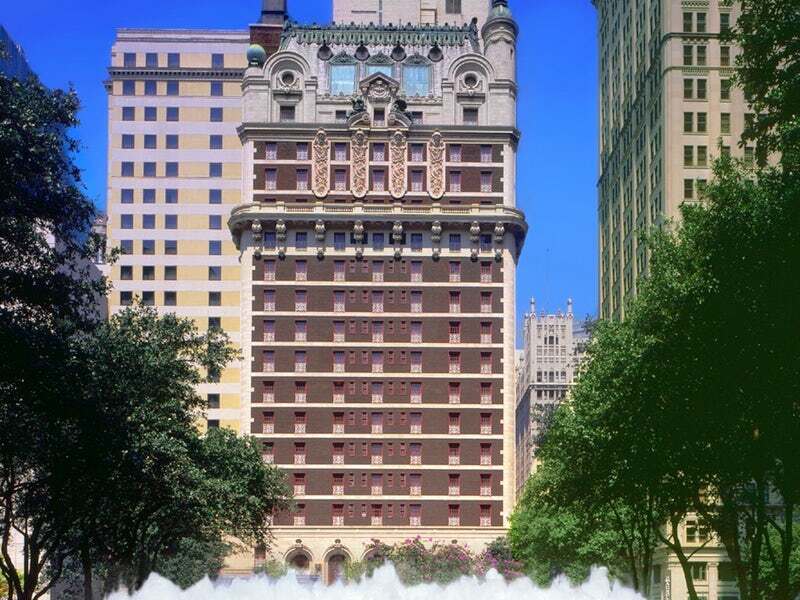 Adolphus Busch built the Adolphus Hotel on Commerce Street in 1912 as Dallas' first luxury hotel. Since it opened its doors, it has served as an icon of Dallas and has played a major part in the overall history and culture of the city. If you're looking for somewhere to spend a romantic weekend, this recently-renovated hotel tops our list of staycation spots here in DFW. It's right in the middle of fantastic culture, restaurants, shopping and more. Or if you just want to pop in for an evening, visit their award-winning French Room restaurant to enjoy modern interpretations of French classics. White Rock Lake is located approximately 5 miles northeast of downtown Dallas and is easily one of the best places to experience nature and wildlife in an urban setting. You can walk along their 9.33-mile trail, enjoy nature from the Audubon Society bird watching area, enjoy a picnic, or actually get out on the lake in a kayak, canoe, or on a stand up paddle board. And the Dallas Arboretum is right there on the shores of White Rock Lake so you can stroll through the 66 acres of botanical gardens and grounds. One of our personal favorite romantic spots is Founders' Plaza at DFW Airport. Experience the exhilaration and awe of planes landing and taking off right in front of your eyes. Bring a picnic lunch/dinner and a blanket and plant yourself there on the grass for a while to just enjoy the magnificent views. Even if you're not an aviation enthusiast, you'll love the experience of watching all the action from Founders' Plaza. 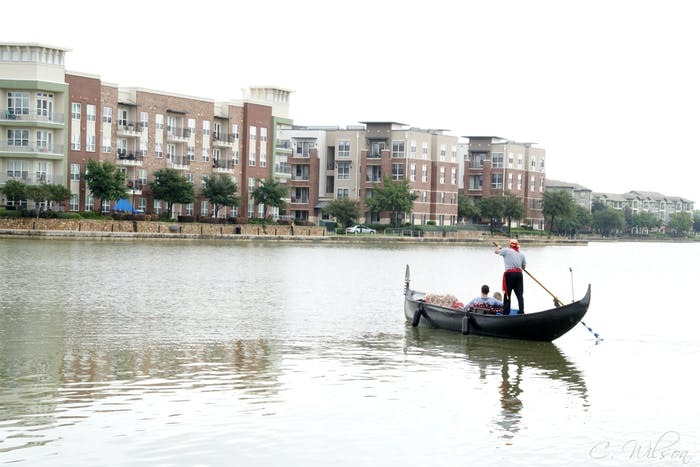 Did you know that there's a place here in DFW where you can enjoy a romantic gondola ride? The Omni Mandalay boasts a waterfront location on Lake Carolyn in Las Colinas and you can explore the Mandalay Canal by gonodola. You can enjoy a dinner cruise catered by the Omni while soaking in views of the private inlets, refreshing waterfall views, and private waterways. And couples are always encouraged to kiss under every bridge! Another one of our personal favorite date nights is strolling around Sundance Square in Fort Worth. While you're there, you can stop in for dinner at any of the fabulous restaurants located on or near the Square. And you can grab a show with Four Day Weekend. When you visit their website, you can actually view different date night itineraries they've created, whether you're a Theater Lover, celebrating a special occasion, or just want a romantic evening out. There are also some fantastic hotels you can stay in for a lovely staycation - including the Renaissance Worthington Hotel. 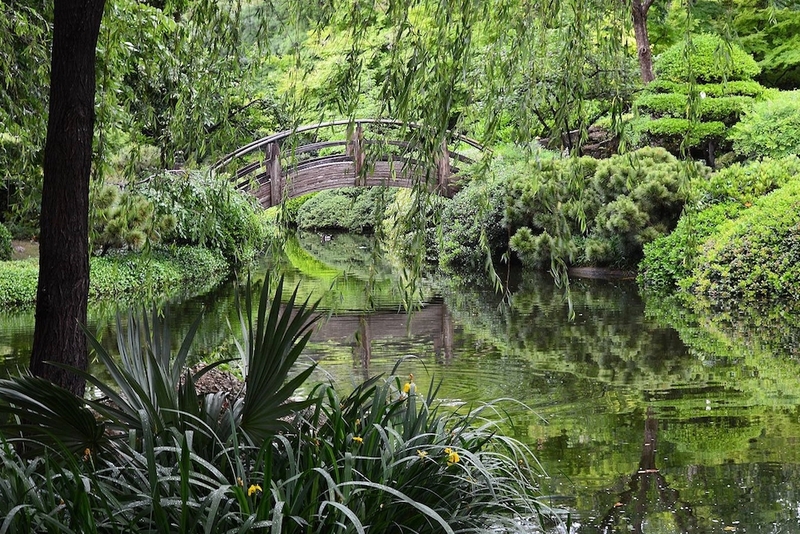 The Japanese Garden located within the Fort Worth Botanic Garden is the perfect place to take a romantic walk and sweep your significant other off their feet. It's a traditional stroll garden with winding paths through landscapes and around ponds. You can enjoy the 7.5 acres of cherry trees, Japanese maples, magnolias, bamboo and koi ponds. 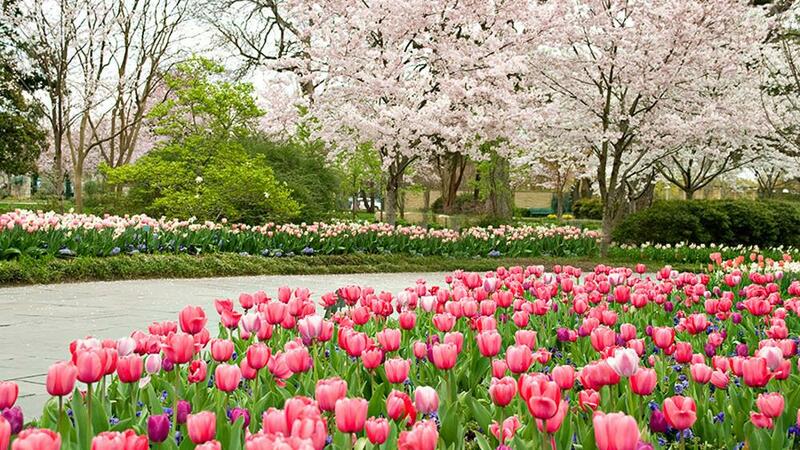 And if you go in the Spring, you'll really get to enjoy all the beautiful blooms. Looking for a romantic restaurant idea? Check out our Foodie Friday DFW series for lots of ideas!